Many consumers have purchased gas-saving devices in the hopes of saving money at the pump, but how do you know which, if any, actually work? Thanks to the high price of gas and the desire everyone has to save money at the pump, a number of devices have appeared on the market claiming to reduce your car’s fuel consumption. The FTC says consumers need to be suspicious of products claiming to increase your gas mileage whether they’re after-market devices or fuel and oil additives. Few of these products do anything at all and the few that improve gas mileage cost more than the meager amount of gas you save. Consumers are also need to be wary of gas-savings and devices because a few of them can actually damage your vehicle! Before using or installing any product claiming to improve gas mileage, we urge you to spend the few minutes it will take to investigate them. It might save you money in the long run and protect your car. Improve your gas mileage by 20% when using this energy saving product. According to the Environmental Protection Agency (EPA), they’ve reviewed and tested over 100 products advertised to save fuel by at least 12% all the way up to 25%. And not one of them was found to improve gas mileage by their claimed percentages. While there are far more than 100 of these products, each one falls into specific categories designated by the industry. So even though the EPA hasn’t been able to test all of them, they have tried to assess at least one product in each category. A word of warning, not all of these products are created equally. Some were found to actually damage engines and/or cause significant escalations in car’s emissions. I installed it on my car and picked up an extra 5 miles per gallon. Even though there aren’t that many people who have the ability to test for exact changes in their gas mileage, many advertisements for gas saving devices feature flattering testimonials from pleased customers. There are many reasons as to why gas mileage may improve: condition of the car, condition of the road, weather conditions, traffic or more driving on the freeway versus in the city. Examples of flawed customer testimony include letters from folks who had a tune up at the same time they installed a product meant to improve gas mileage. They were so pleased with the product they wrote the company to praise then. What they, and the people who read the testimonials, don’t realize is that the savings in mileage was solely due to the tune up, not the device that was installed. If after purchasing and using one of these gas mileage saving products, you’re not satisfied, search the product for the manufacturer’s contact information. Often they’ll have a website where information on money back guarantees is kept, along with details on how to request your purchase price back. Sometimes they’ll have a specific period in which a refund can be requested. Even if that period has expired, it’s still worth a chance to request the refund. Most self respecting companies value your positive word of mouth over not fulfilling your refund request. If the company involved isn’t self respecting and you’re unsatisfied with their response, contact your local Better Business Bureau office and/or your local or state consumer protection agency. There are many ways you can fight the high price of gas that cost you nothing or next to nothing. You’ll find your greatest savings at the gas pump. Despite rumors to the contrary, only purchase gas with an octane level recommended by your car’s manufacturer. If premium gas isn’t recommended, don’t waste your money on it. Under the Federal Trade Commission’s Fuel Rating Rule, all gas pumps must post the octane rating of the gas right next to the pump. Double check the owner’s manual for your car to verify the correct level of octane for your car. You’ll pay higher prices for fuel higher in octane. Do you really need to take your car? Bike, carpool, take a bus or walk instead of driving. Not only will you be saving gas, but you’ll also be helping the environment and getting exercise at the same time. Plan errands wisely. Save them up for one afternoon versus going out each day. Also plan your route so you can walk from one destination to another rather than driving to each one. Wear and tear on your call will also be reduced and you’ll gain energy by walking. Follow the manufacturer’s maintenance schedule according to your car’s owner’s manual. By following this schedule you should escape gas economy issues due to dragging brakes, worn spark plugs or transmission related problems. Get tune ups regularly. Nothing improves performance as well as fuel economy better than a tune up. Keeps emissions lower too. Check tires and alignment on a regular basis. Proper inflation of your tires to the maximum pressure recommended by the manufacturer and correct alignment enhances gas mileage. Visit their website for more information, including a guide to the most fuel efficient cars in the current model year. The following information comes directly from the EPA’s website under their Gas Saving and Emission Reduction Devices Evaluation subsection (https://www.epa.gov/air-pollution-transportation). There are three PDF documents on the webpage listed above that go over the EPA’s program for the evaluation of aftermarket gas saving products (aka the “511 Program”). The first document explains the purpose of the program and provides a very high level overview of the testing. Next up is a more detailed document covering in depth what the EPA does in their evaluation program as well as why they do it. And finally they have a list of the independent test labs utilized in their program. The EPA has an extensive list on their website that contains each of the products tested in their aftermarket gas saving product evaluation program along with the size of each product’s report and the date the report was completed. Each report contains information such as: background, purpose of the test program, test plan, results, conclusions and an appendix if warranted. Miscellaneous. The EPA has evaluated: BRAKE-EZ; Dynamix; Fuel Maximiser; Gyroscopic Wheel Cover; Kamei Spoilers**; Kat’s Engine Heater; Lee Exhaust and Fuel Gasification EGR; Mesco Moisture Extraction System; P.S.C.U. 01 Device; Treis Emulsifier. Is Premium gas worth the expense? Many people believe putting premium, high grade gasoline in their car’s gas tank will keep its engine clean, makes it faster and helps it get better gas mileage, but considering the high price of gas, is this belief justified? Is premium gas worth the money? First, we’re going to talk about the difference in the gas grades you see at most gas station so that you know what you’re pumping into your car. Most gas stations have three grades of gas, regular unleaded, premium and something between regular and premium often referred to as midgrade. We’re going to ignore diesel, bio fuels and the like since they lie beyond the scope of this article. Usually, the higher the fuel grade, the higher the octane. Octane is a measure of how much the fuel can be compressed before it spontaneously ignites. When gas ignites due to compression instead of a spark plug’s spark, an engine “knock” occurs. By “knock” we mean a literal knocking sound that comes from the engine. Low-grade “regular” gas ignites with the least amount of compression. Higher octane allows gas to compress more than regular which results in more horsepower. So why aren’t we all using higher octane fuels? Only engines with higher compression ratios take advantage of higher octane gas. These engines are designed this way to increase their horsepower. These are “high performance” engines and cars that have them are the only ones requiring higher octane fuel. These vehicles actually need premium gas and they will perform much better with it. Octane is thought to give a vehicle additional horsepower by some but the engine’s size and design are what makes the car go faster. This performance won’t come cheap since premium gas fetches a premium price every time you fill up. Can you save money using premium instead of regular gas? You won’t benefit from using premium gas in a car designed for regular. You won’t get better gas mileage and you won’t go any faster. You’ll just end up spending more money. Does Premium gas have more detergent than other grades? Some claim that premium grade gas has more cleaning detergent than other grades. This belief is not backed by the facts. The truth is that every grade of gas has detergent. Too much detergent, some say, can actually damage your car. Either way, if you justify your use of premium gas because you think it keeps your engine clean you should rethink it. The bottom line is: check your car’s owner manual for the definitive answer to the question of what grade gas you should use. If your owner’s manual says to use premium gas, use it! 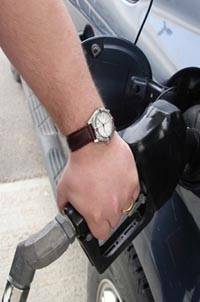 You might damage your engine if you try to save money by using the lowest grade fuel. So fuel your car with whatever grade is recommended for your car. On the other hand, using higher octane gas than your car requires accomplishes nothing. What’s the difference between premium and regular gas? petrol. 91 octane @ $1.34 a litre (Caltex) burnt at a rate of 6.1litres per 100KM, 95 octane (Shell) burnt at a rate of 6.8 litres per 100KM. both on the same 600km of freeway, same conditions and on cruise control, so go figure.